Discovery Inspections was founded by a firefighter whose work in the community inspired him to assist home buyers in purchasing a safe and reliable home, using our home inspection service. When Discovery Inspections arrives at your potential home we use an extensive home inspections checklist. With the information from the home inspections checklist Discovery Inspections uses the information to create a full home inspection report for the home buyer. Home Gauge is the reporting program we use to create a personal report of your home inspection. This program is rated number one in the reporting industry and because of this we are able to have a 24 hour turnaround for your home inspection report. It is our drive to meet the needs of our customers, by providing quality home inspections and to ensure our customers with piece of mind in purchasing their home. 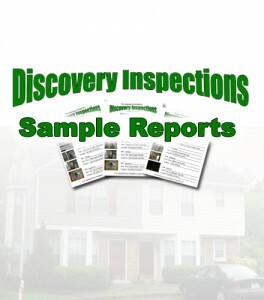 It is Discovery Inspections mission to be the preferred home inspection company across the entire state of Michigan.